Spurred by the bursting of the housing bubble, the financial and market crisis that began in 2007 has wreaked havoc on the global economy. In the last five years, this crisis has seen the collapse of major financial institutions, bank and corporate bailouts, extraordinary volatility in stock markets, unprecedented numbers of foreclosures and job losses, and new austerity measures and regulations. And the uncertainty continues. This series of public lectures invites thinkers from a variety of perspectives to discuss the economic and political roots of the crisis, its historical precedents and origins, and potential remedies in moving forward. The series draws inspiration from the view that the time is ripe for fresh thinking about our political and economic future—a future dependent on innovative ideas that defy partisan and party divisions. George Mason University economist Lawrence H. White will speak on the topics covered in his book, The Clash of Economic Ideas: The Great Policy Debates and Experiments of the Last Hundred Years. Lawrence H. White is Professor of Economics at George Mason University. He specializes in the theory and history of banking and money, and is best known for his work on free banking. He received his A.B. from Harvard and his M. A. and Ph.D. from the University of California, Los Angeles. He previously taught at New York University, the University of Georgia, and the University of Missouri - St. Louis. Professor White is the author of The Clash of Economic Ideas (Cambridge, forthcoming); The Theory of Monetary Institutions (Basil Blackwell, 1999); Free Banking in Britain (2nd ed., Institute of Economic Affairs, 1995; 1st ed. Cambridge, 1984), and Competition and Currency (NYU, 1989). In 2008 White received the Distinguished Scholar Award of the Association for Private Enterprise Education. He has been Visiting Professor at Queen's University Belfast, Visiting Fellow at the Australian National University, Visiting Research Fellow and lecturer at the American Institute for Economic Research, visiting lecturer at the Swiss National Bank, and a visiting scholar at the Federal Reserve Bank of Atlanta. He co-edits a book series for Routledge, Foundations of the Market Economy. He is a co- editor of Econ Journal Watch, and hosts bi-monthly podcasts for EJW Audio. He is a member of the board of associate editors of the Review of Austrian Economics and a member of the editorial board of the Cato Journal. He is a contributing editor to the Foundation for Economic Education's magazine The Freeman and lectures at the Foundation's annual seminar in Advanced Austrian Economics. He is an adjunct scholar of the Cato Institute and a member of the Academic Advisory Council of the Institute of Economic Affairs. The U.S. economy lost the first decade of the twenty-first century to an ill-conceived boom and subsequent bust. It is now in danger of losing another decade to the stagnation of an incomplete recovery. How did this happen? Menzie Chinn explains the political and economic roots of this crisis, as well as its long-term effects, including political strategies that led to the debt and the continuing impact of the huge U.S. public debt in the ongoing slow recovery from the recession. Menzie D. Chinn is Professor of Public Affairs and Economics at the University of Wisconsin's Robert M. La Follette School of Public Affairs. 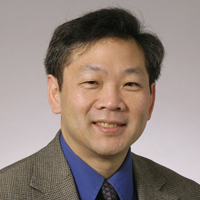 In 2000-2001, Professor Chinn served as Senior Staff Economist for International Finance on the President's Council of Economic Advisers. He is currently a Research Fellow in the International Finance and Macroeconomics Program of the National Bureau of Economic Research, and has been a visiting scholar at the International Monetary Fund, the Congressional Budget Office, the Federal Reserve Board and the European Central Bank. With Jeffry Frieden, he is coauthor of Lost Decades: The Making of America's Debt Crisis and the Long Recovery (September 2011, W.W. Norton). He is also a contributor to Econbrowser, a weblog on macroeconomic issues. The American economy continues to suffer from the bursting of the housing bubble and subsequent collapse in the capital markets in spring of 2007. In this second talk in our series on the Economic Crisis, John Allison, retired CEO of Branch, Banking, & Trust, will discuss the causes of this crisis, including government policies and errors by financial institutions, and potential short and long-term solutions. John Allison is Retired Chairman and CEO of BB&T Corporation, the 10th largest financial services holding company headquartered in the U. S. Mr. Allison began his service with BB&T in 1971 and managed a wide variety of responsibilities throughout the bank. He became president of BB&T in 1987 and was elected Chairman and CEO in July 1989. During Mr. Allison’s tenure as CEO from 1989 to 2008, BB&T grew from $4.5 billion to $152 billion in assets. 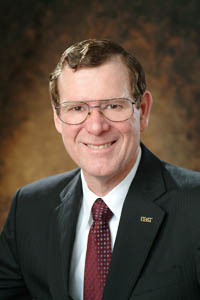 In March 2009, he joined the faculty of Wake Forest University School of Business as Distinguished Professor of Practice. Allison is a Phi Beta Kappa graduate of the University of North Carolina at Chapel Hill. He received his master’s degree in management from Duke University (1974). He is also a graduate of the Stonier Graduate School of Banking and has received 6 Honorary Doctorate Degrees. Allison has received the Corning Award for Distinguished Leadership, been inducted into the NC Business Hall of Fame and received the Lifetime Achievement Award from the American Banker. He was recognized by the Harvard Business Review as one of the top 100 most successful CEOs in the world over the last decade. He serves on the Board of Visitors at the business schools at Wake Forest, Duke, and UNC-Chapel Hill, and the Board of Directors of the Clemson Institute for the Study of Capitalism and the Mercatus Center at George Mason University. A native of Charlotte, N.C., Allison is married to the former Elizabeth McDonald of Elkin, N.C. They have two sons and one daughter. As we complete our fourth year of high unemployment and below average production, many people think our future is very clouded. Some argue that our problems are deep seated and having been growing over the last several decades. For these pessimists, the stock market bubble, the housing bubble, and the use of the debt have hidden our problems. In the future, we were longer have these options and the rise of China, India, Brazil and other countries will expose our lack of economic vitality. In Five Myths About America’s Economic Decline, Georgetown Professor Stephen Rose will argue that our economic strengths are many and that our future is bright. The prolonged economic crisis has taken a severe toll but it will end within the next few years. While we have many problems that need addressing (high inequality, relatively poor elementary and HS education, and expensive health care system), we have the largest consumer market in the world by a wide margin, the best higher education system, and by international standards very good legal, financial, and regulatory institutions. Stephen J. Rose is a Research Professor and Senior Economist at the Georgetown University Center on Education and the Workforce where he studies the interactions between formal education, training, career movements, and earnings. Dr. Rose has coauthored three reports for the Center: The Undereducated American, The College Payoff, and Certificates: Gateway to Gainful Employment and College Degrees. 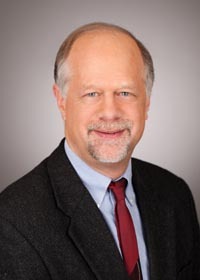 He is a nationally recognized labor economist who has conducted innovative research and written about social class in America for the last 30 years and he is currently working on separate studies on certificates, graduate degrees, and community colleges. He is the author of Rebound: Why America Will Emerge Stronger From the Financial Crisis (2009, St. Martin's Press).